Are you looking for a fun way to teach your child or student? 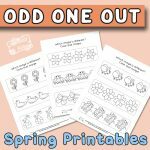 These Easter Odd One Out Worksheets will help your child how to tell the difference in objects while giving them a fun experience. 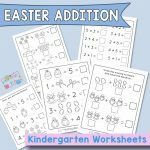 Our Easter printables will help you celebrate the upcoming season with your child while they have a lot of fun and learn at the same time. 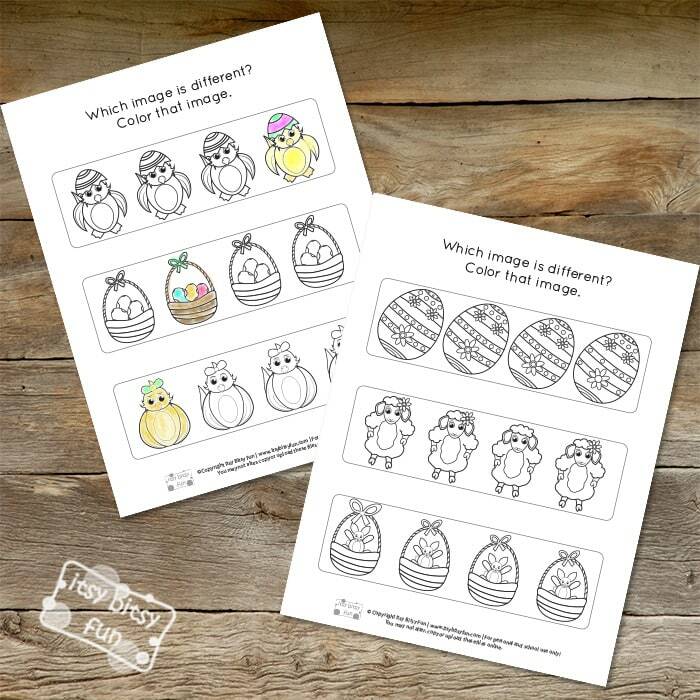 If you are looking for free Easter worksheets for kids, we might have just what you need. 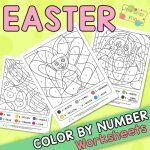 The Easter odd one out worksheets are covered with Easter inspired pictures that your children will love to color. They can color in the odd picture learning both: fine motor skills and hand-eye coordination at the same time. Coloring improves a child’s pencil grasp later in life, so these can also train good penmanship. Have your child make the animal’s sound when they color the animal images in – in order to add more excitement. 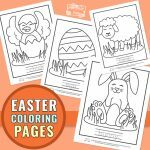 Once young students have found the odd image and the pictures have been colored in, you can cut them apart to make adorable Easter cards for family and friends. Think about how proud will your child be to present the card they crafted. They can also be laminated and looked back on for years to come. 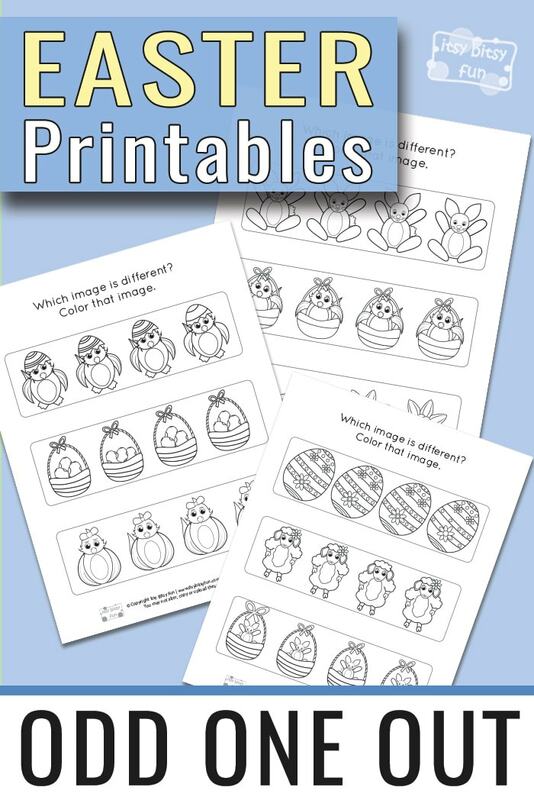 These worksheets for kids have pictures of Easter eggs, bunnies, chicks, and more on them. We made these free printables for kids so that your child can have fun while learning. If you are looking for an original item for the Easter bunny to bring, take our pages and add them to your child’s Easter basket. By helping your kid or student with coloring, you can add a sweet memory to both of your lives. Our printables are great for a teacher trying to find something fun to do with her class. They are also great for the busy mom, wanting to make some wonderful memories during the spring with her kids. 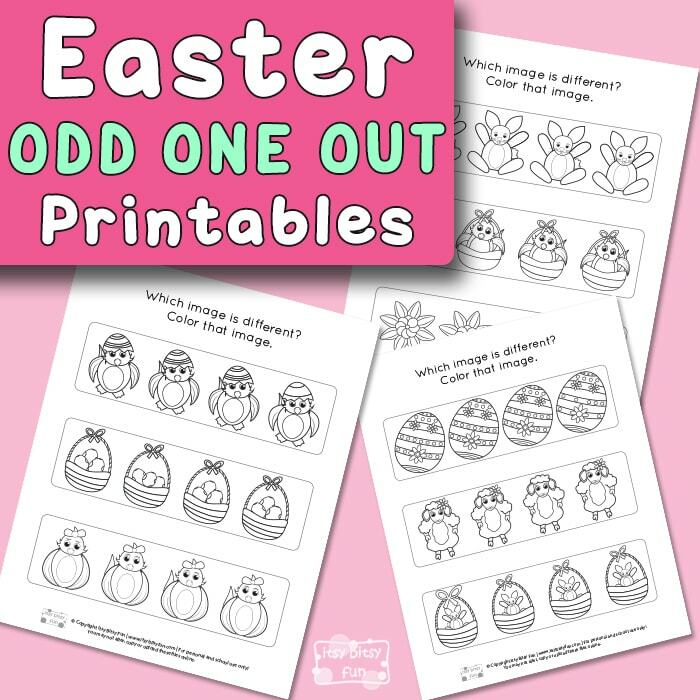 Get your Easter Odd One Out Printables here. 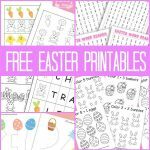 Take a look at the Free Printable Easter Party Pack Supplies and print out the Easter Pre-K and K Pack.